Stocks are closing higher on Wall Street as technology companies rose following a recent bout of weakness. Apple jumped 2.4 percent Thursday, a day after putting out its new lineup of iPhones, and chipmaker Qualcomm rose 4 percent after announcing a big stock buyback program. Stock indexes in Turkey and other emerging markets rose after the Turkish central bank raised interest rates sharply in response to the nation’s currency crisis. The Turkish lira strengthened against other currencies. Kroger plunged 10 percent after the supermarket chain reported disappointing results. The S&P 500 index rose 15 points, or 0.5 percent, to 2,904. 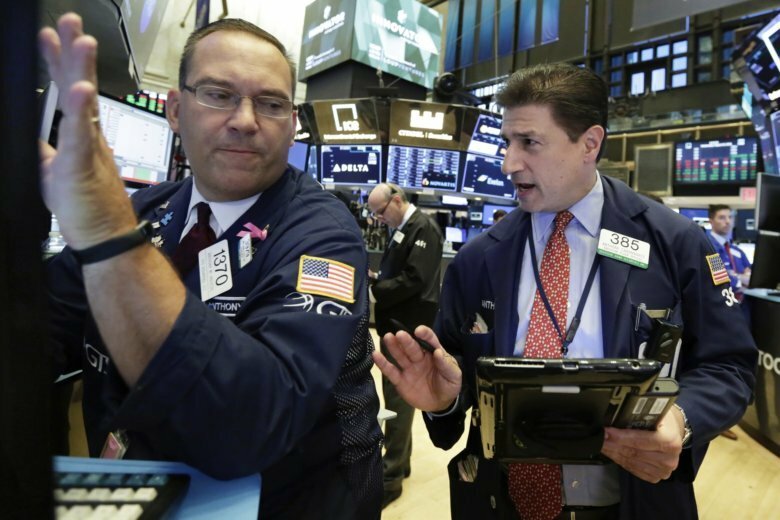 The Dow Jones Industrial Average rose 147 points, or 0.6 percent, to 26,145. The Nasdaq composite gained 59 points, or 0.7 percent, to 8,013. Technology companies are leading stocks higher in midday trading on Wall Street, shaking off a recent bout of weakness. Apple jumped 2.7 percent Thursday, a day after putting out its new lineup of iPhones, and chipmaker Qualcomm rose 4 percent after announcing a big stock buyback program. Kroger plunged 10.3 percent after the supermarket chain reported disappointing quarterly results. The Dow Jones Industrial Average rose 119 points, or 0.5 percent, to 26,117. The Nasdaq composite gained 66 points, or 0.8 percent, to 8,020.